While sea levels across the world have long been expected to rise steadily as temperatures increase and ice caps melt, an alarming report from the National Oceanic and Atmospheric Administration (NOAA) warns that almost all U.S. coastlines risk more dramatic changes in sea level than the global average. 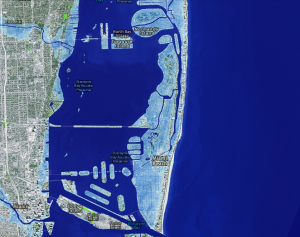 The Jan. 19 report frames potential changes to U.S. coastlines within six scenarios regarding global mean sea level (GMSL) rise. These scenarios range from best to worst case — between 0.3 m (1 ft) and 2.5 m (8.2 ft) of GMSL rise by the year 2100, respectively. Using localized data from 90 coastal U.S. cities, the predictions inform region-specific coastline management measures as gradual sea level rise becomes more burdensome. Broadly speaking, the research estimates that almost all U.S. coasts outside Alaska will rise by at least 0.3 m (0.9 ft.) more than the global average if GMSL rise is at least 1.5 m (4.9 ft) by the year 2100. These changes are most severe in Northeast and West Coast states, along the western coast of the Gulf of Mexico, and around Hawaii, the Caribbean, and overseas territories in the Pacific Ocean. In contrast, if GMSL rise is less than 1.5 m (4.9 ft) by the year 2100, the coasts of Alaska and some Pacific Northwest states are expected to shift at a rate of at least 0.2 m (0.6 ft) lower than the global average. NOAA researchers joined with partners from Rutgers University (New Brunswick, N.J.) the U.S. Environmental Protection Agency, the South Florida Water Management District (West Palm Beach), Columbia University (Manhattan, N.Y.), and the U.S. Geological Survey to conduct the study. 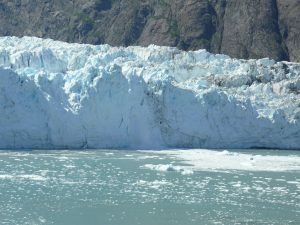 The study makes projections not only based on melting and freezing ice caps, but also regional subsidence due to compaction and drainage, tectonic activity, potential changes in the shape of ocean basins, and other factors. Study findings represent a revision of prior GMSL rise estimates from 2012. New data suggests a 0.1 to 0.3-m (0.3 to 0.9-ft) increase in sea levels under modest scenarios and up to a 0.5-m (1.6-ft) increase under the most extreme scenarios.